To deploy an app to the Apple Application Store we must first setup an Apple Developer Account which will allow the development, testing and distribution of your app. Do I need a Mac to develop iOS apps for the App Store? Yes. You must have an Intel-based Mac running Mac OS X Snow Leopard or later to develop iOS apps for the App Store. What are the fees associated with being an iOS developer? The iOS Developer Program annual fee is $99, and in local currency where available. The iOS Developer Enterprise Program annual fee is $299, and in local currency where available. The iOS Developer University Program is free. What will I need to enroll in the iOS Developer Program? Legal name and contact information. Your legal name will appear as the “Seller” in the App Store. We may also require additional personal documentation to verify your identity. A registered legal entity name. This name will appear as the "Seller" in the App Store. We do not accept DBAs, Fictitious Businesses, Trade names, or branches. A D-U-N-S Number assigned to a legal entity. Learn more. Which iOS Developer Program should I join? Individuals and companies who intend to develop apps for distribution on the App Store should enroll in the standard iOS Developer Program. Join as an individual if you are a sole proprietor or if you develop under your own name. Join as a company if you are a company, non-profit organization, joint venture, partnership, or government organization. If you are a company/organization creating in-house applications for internal deployment, join theiOS Developer Enterprise Program. To learn more, please read the iOS Developer Enterprise Program FAQs. (You will need to be logged into your developer account to view this). Download the Distribution Certificate, then add it to your keychain. You should now have a private key/distribution certificate keychain pair in your keychain. Right click on this and select Export "iPhone Distribution:..". Give a filename and any password - you will need to supply YUDU with this password. Send the resulting .p12 file to YUDU, and we can then compile for your account. It might also be useful to give YUDU the login details for your developer account, so we can manage the apps, and also manage the distribution of the compiled apps. In either case, you can send YUDU the UDID of any devices you wish to load the apps onto, and we can then compile apps for these devices. 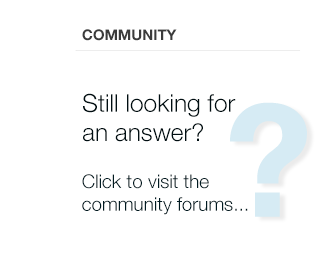 Login using your developer account details and proceed to answer the questions that follow. Upon completion, please proceed to access the Contracts, Tax, and Banking section and fill out the top form. This is a necessary step in order for any submitted apps to proceed to the review stage. Upon completion of the account setup, Apple will verify that the details are correct and inform you when you are able to purchase the program on the Apple Online Store. After the purchase is complete, Apple will send an email within 24 hours on how to activate your membership.